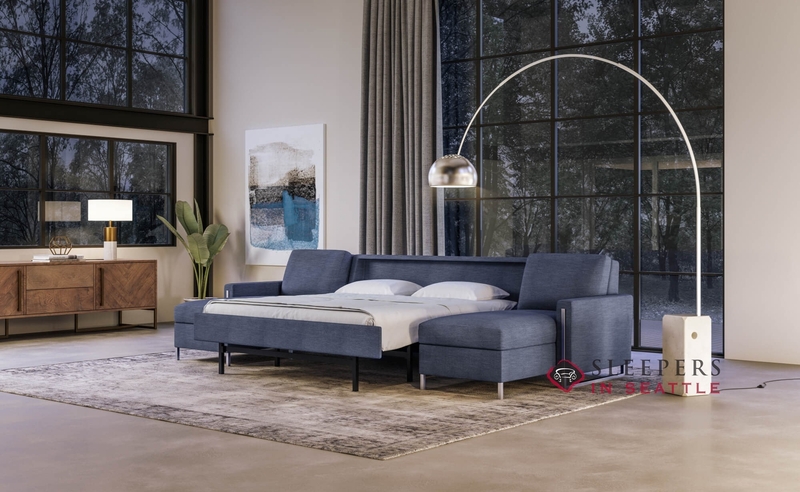 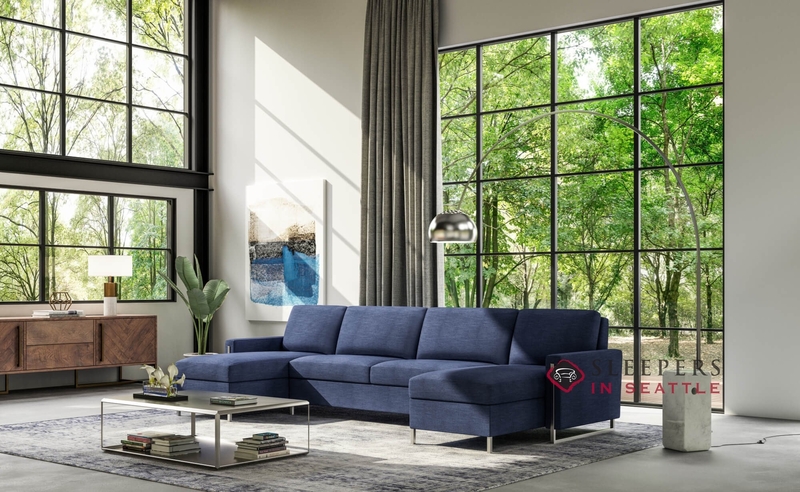 The American Leather Sulley High Leg Comfort Sleeper offers tasteful contemporary style and endless comfort. 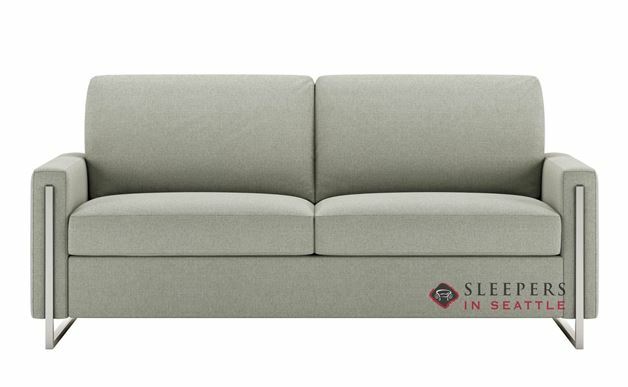 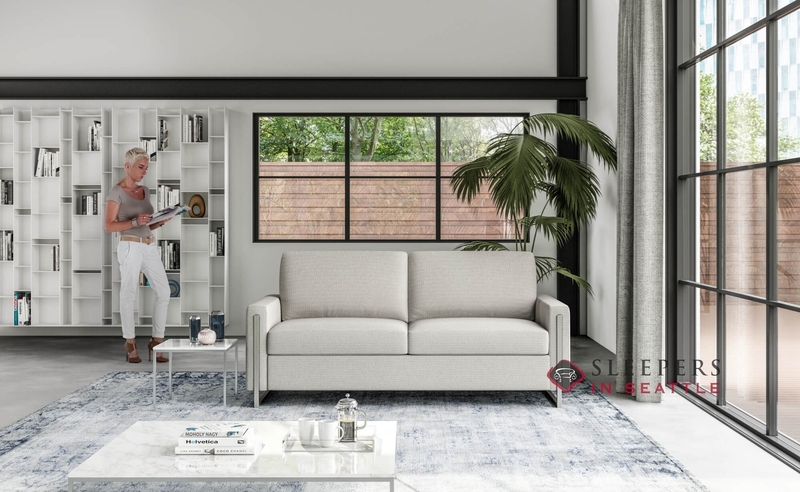 Marked by unique metal legs, track arms and the industry’s leading sleeper, this Top Tier Generation VIII Comfort Sleeper is sure to make an excellent addition to any tasteful home. 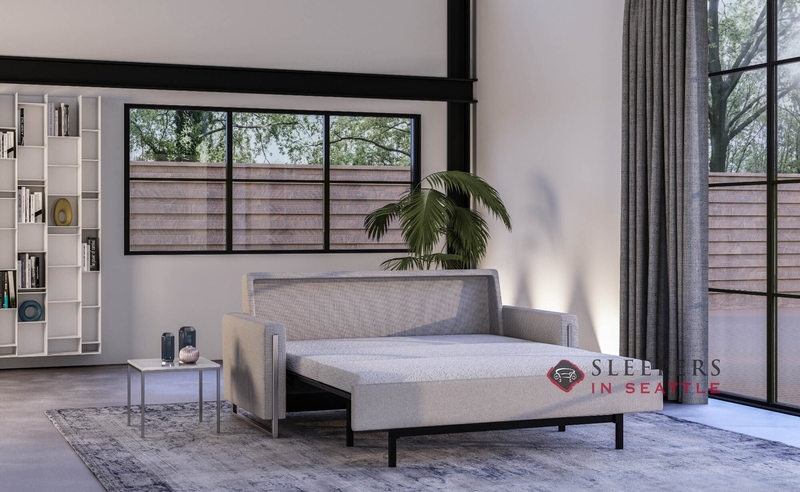 The Sulley features American Leather’s 24/7 Tiffany Sleep System. 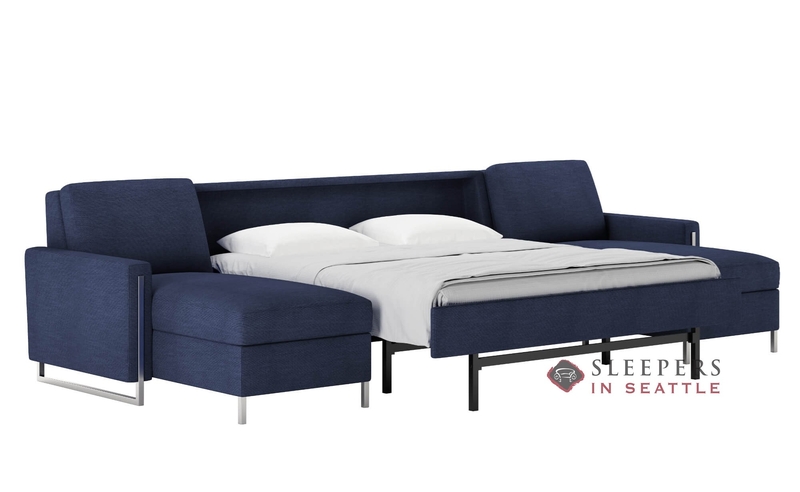 This mechanism allows for easy opening and an unbelievable night’s sleep. 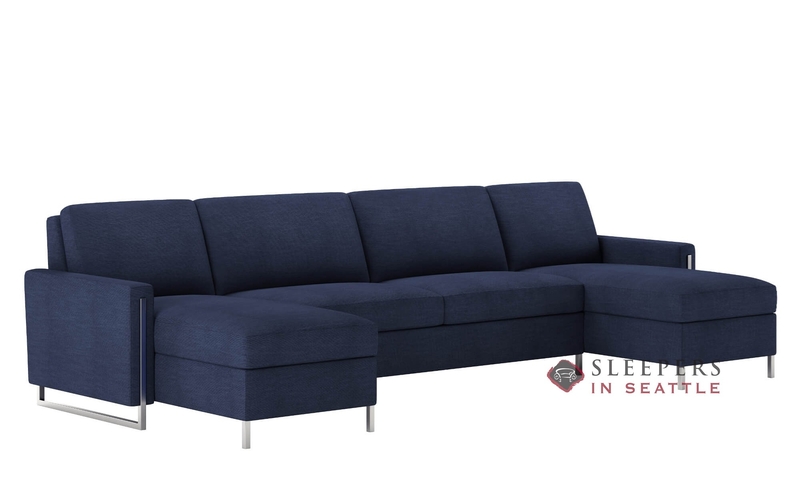 A new Generation VIII Comfort Sleeper, the Sulley features improved design, replacing velcro and tuck in rolls with seamless design. 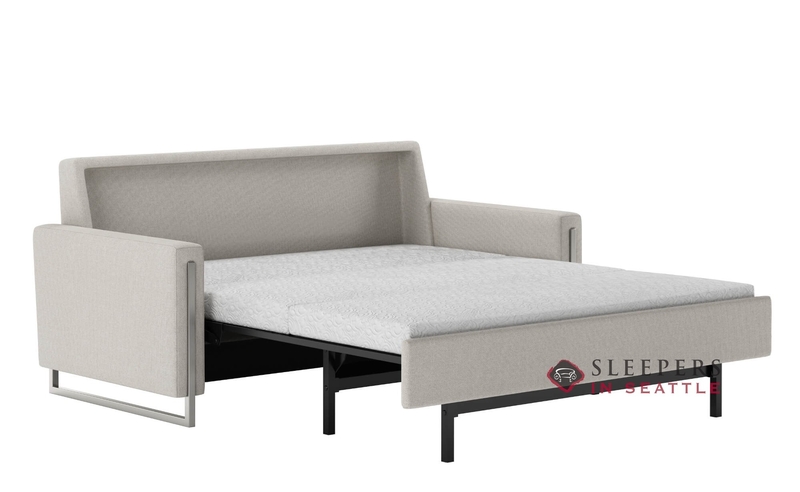 Mattress options include an enhanced Tempur-Pedic formula and an improved gel mattress with denser foam base.